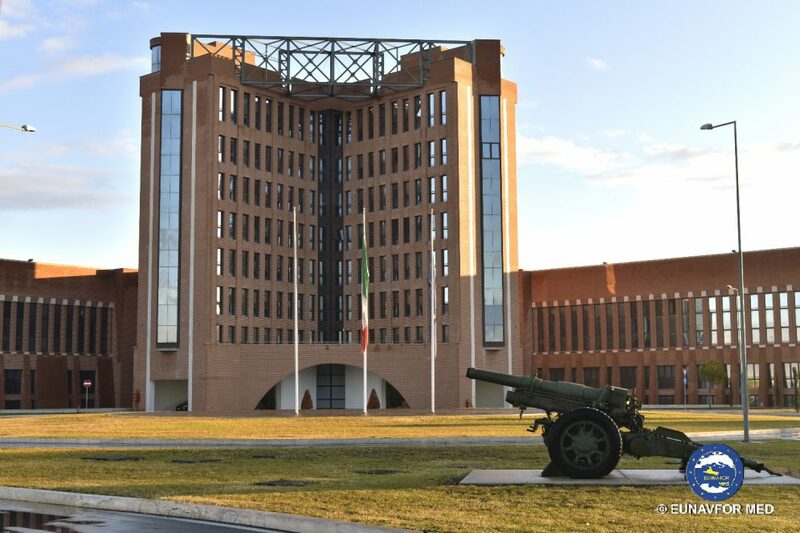 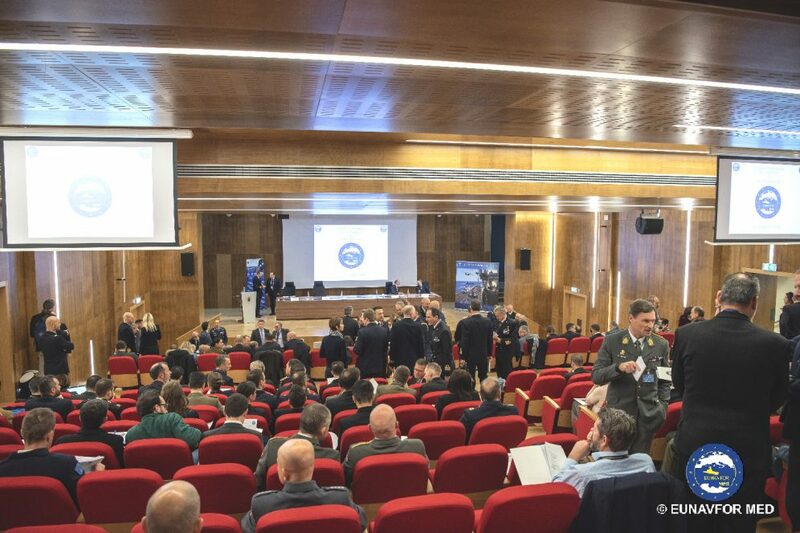 The 7th edition of Shared Awareness and De-confliction for the Mediterranean Sea (SHADE MED) was held in Rome at the Francesco Baracca Italian airbase, on last 23 and 24 January 2019. 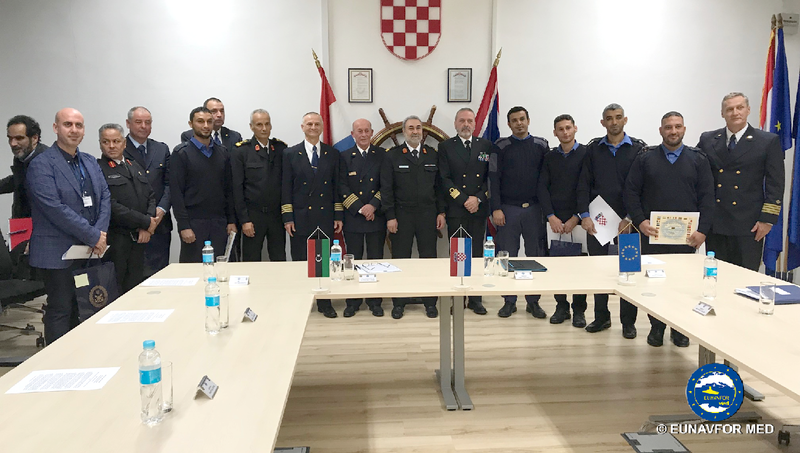 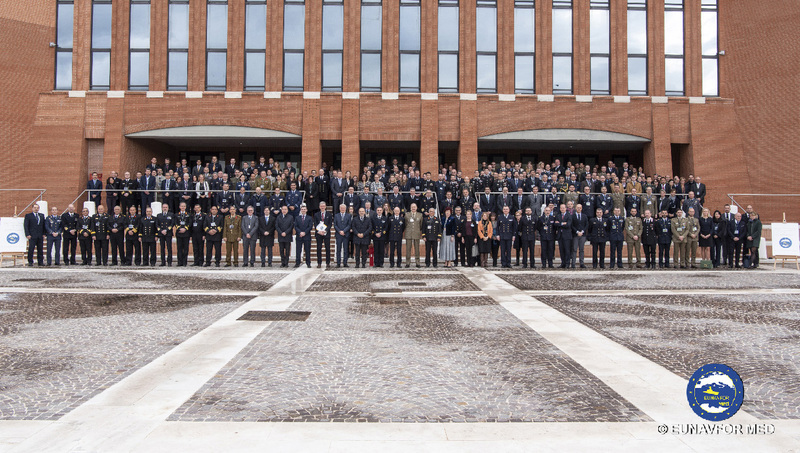 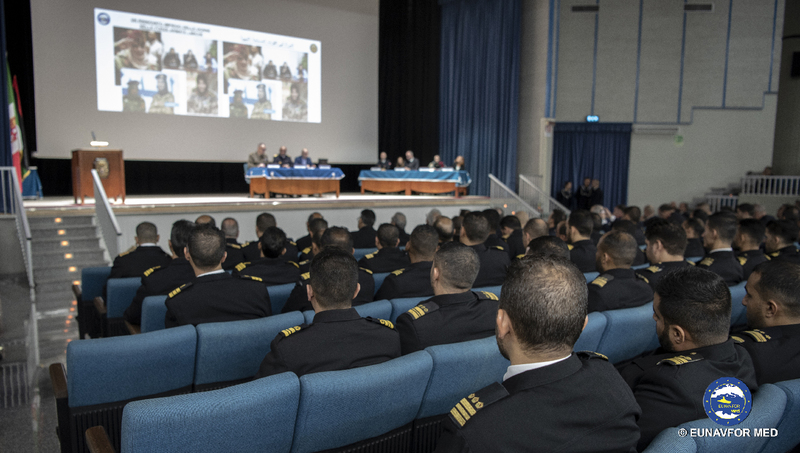 The forum was opened by Rear Admiral (UH) Enrico Credendino, operation SOPHIA Commander, who welcomed an outstanding participation of 189 attendees, from 37 different countries and 121 organizations who took part in this first SHADE MED event of 2019. 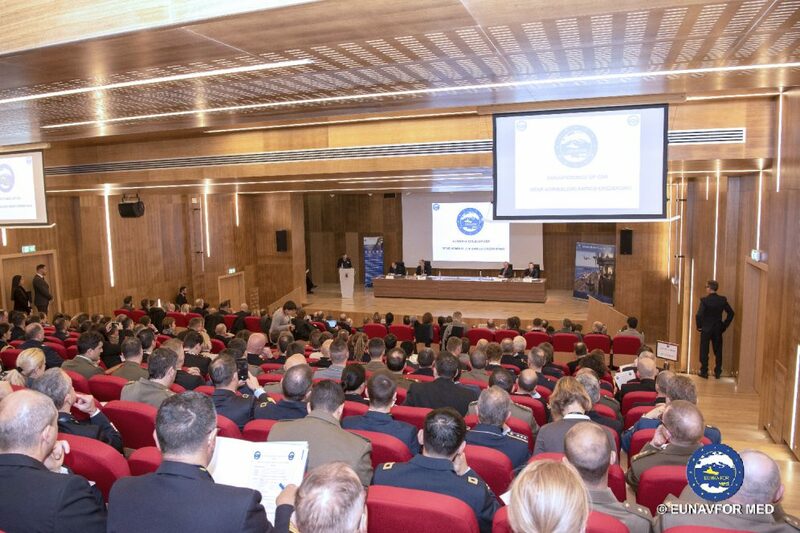 SHADE MED is a forum where military and civilian representatives from nations and organizations interested in or impacted by the migratory phenomenon in the Mediterranean sea can meet to discuss and share knowledge and de-conflict to coordinate their activities, to achieve the maximum efficiency and effectiveness in managing objectives related to the migratory phenomenon at sea. 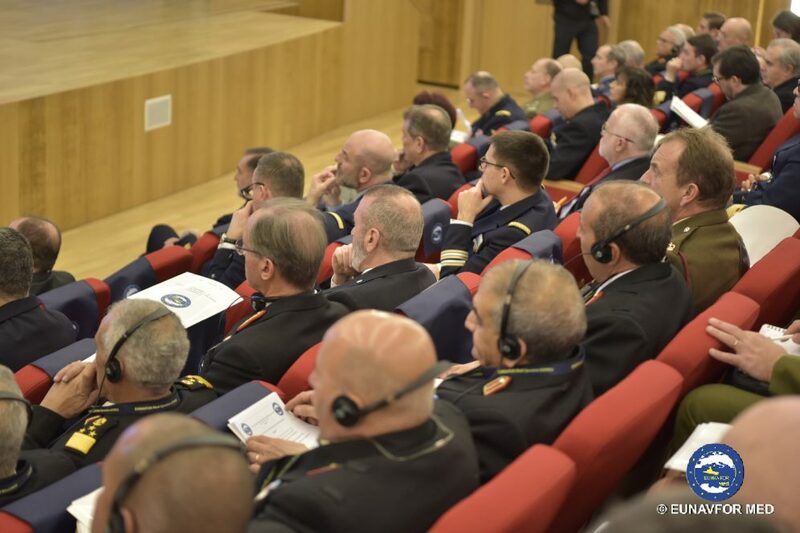 “Shade Med is an example of how we can shape a constructive dialogue an interaction among the relevant military and civilian actors who share a common interest in the Mediterranean region” underlined Admiral Credendino in the opening remarks. 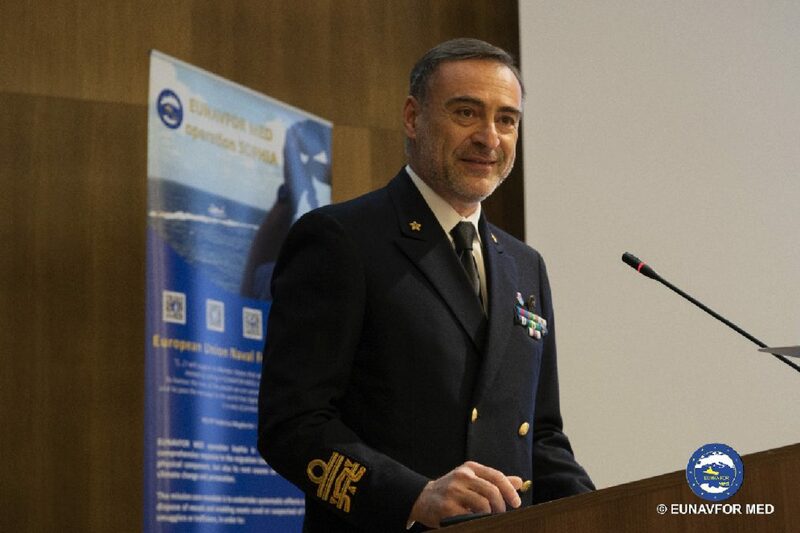 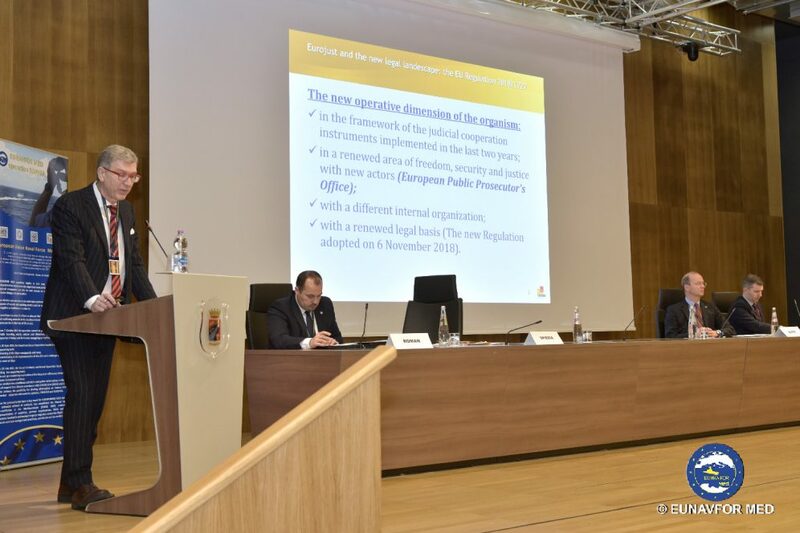 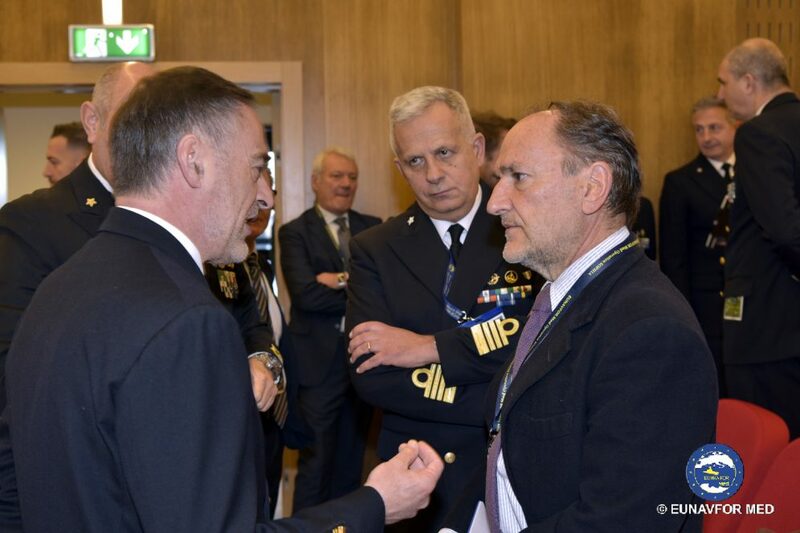 “Eunavfor Med has continued to delivery as a leading Maritime Security Operation actor in the Center Mediterranean region, contributing to the 83 per cent reduction of the migration flow seeing in the central med route of the past year” added Credendino in his speech. 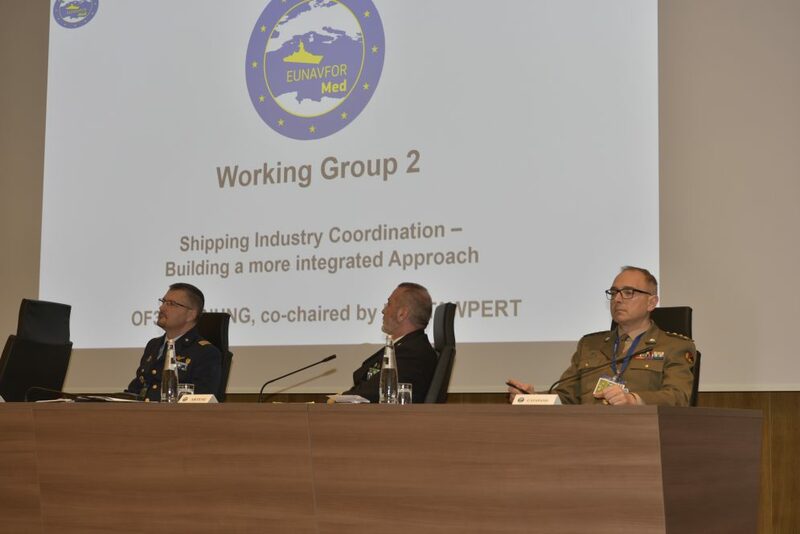 The opening session included the following guest speakers: the Vice President of EUROJUST, Mr. Filippo Spiezia, the Manager of Environment and Trade of the International Chamber of Shipping, Mr. John Stawpert, the Team Leader of EUROPOL Mr. Marius Roman, the Senior Military Advisor of UNSMIL, Major General Josef Blotz, the Head of mission of EUBAM LIBYA, Mr. Vincenzo Tagliaferri, the Program manager for technical cooperation and border management of IOM, Mr. Marco Mantovan and the Special Envoy for the Central Mediterranean of UNHCR, Mr. Vincent Cochetel. 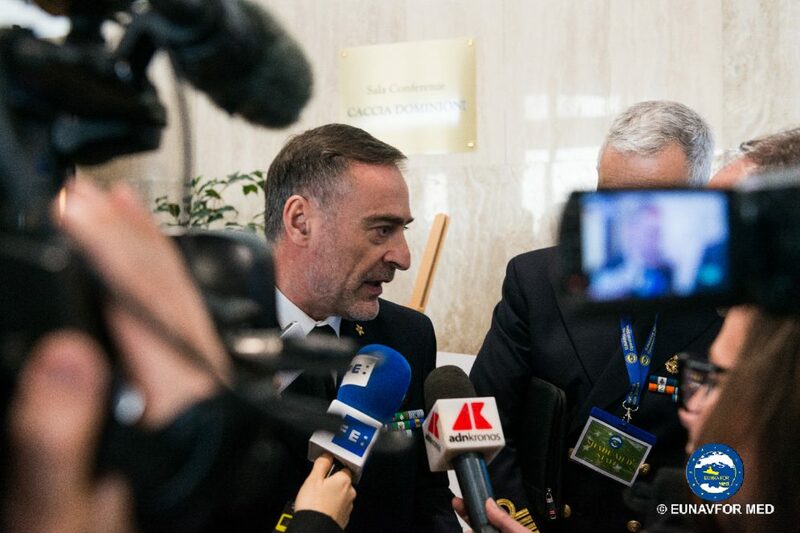 The plenary session was followed by working group panels focused on five different topics: Observatory on Migrant Smuggling and Human Trafficking; Shipping Industry Coordination – Building a more integrated Approach; Capacity building of the Libyan Coast Guard and Navy; Migrant picture and statistics and the Crime Information Cell.